The philosopher Cristina Bicchieri here develops her theory of social norms, most recently explained in her 2006 volume The Grammar of Society. Bicchieri challenges many of the fundamental assumptions of the social sciences. She argues that when it comes to human behavior, social scientists place too much stress on rational deliberation. In fact, many choices occur without much deliberation at all. Bicchieri's theory accounts for these automatic components of behavior, where individuals react automatically to cues--those cues often pointing to the social norms that govern our choices in a social world Bicchieri's work has broad implications not only for understanding human behavior, but for changing it for better outcomes. People have a strong conditional preference for following social norms, but that also means manipulating those norms (and the underlying social expectations) can produce beneficial behavioral changes. Bicchieri's recent work with UNICEF has explored the applicability of her views to issues of human rights and well-being. Is it possible to change social expectations around forced marriage, genital mutilations, and public health practices like vaccinations and sanitation? If so, how? What tools might we use? 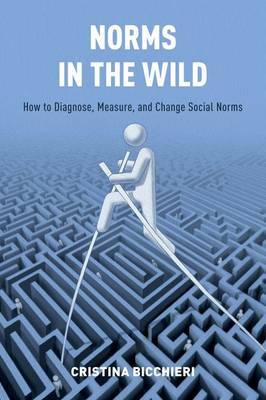 This short book explores how social norms work, and how changing them--changing preferences, beliefs, and especially social expectations--can potentially improve lives all around the world.